1) Does their life even remotely resemble yours? If your chosen mentor is a single 50 year old male making six figures and you are a 35 year old wife and mother of three struggling to make ends meet, the suggestions you receive may not be attainable, even if they are relevant. While having multiple mentors can complement a burgeoning professional’s growth, if you’re going to choose just one, select someone who has at least one or two similarities to you. 2) Do they listen to your issues before dispensing advice? Because so many mentors have reached a certain place in their life, they may be used to telling people what to do and having them do it. While that’s very productive in the workplace, it can be far less so in a mentor relationship. If all you’re getting are pat answers and war stories, select a mentor who’ll keep an ear out. Inappropriate delegation is when a mentor manipulates a protégé to do work that the mentor should be doing. 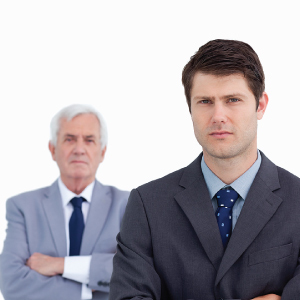 Protégés in situations like these may find their career development stymied. Too often, they end up never taking on work that will develop the skills they need to gain more responsibility and receive attention from senior management. Part of the reason may simply be perspective: Someone who got tenure 30 years ago may not appreciate what it takes to get tenure today. The young tenure tracker may not know, or catch on quickly enough, that the same mentor who is a wizard of statistical methodology is offering awful advice about handling disruptions in the classroom. 5) Are they honest? Any mentor worth their salt will tell you when you ask them something outside of their circle of expertise. If they tell you they don’t know but help you find someone who does, that’s the sign of a great mentor. However, on the flip side, if you have a mentor that discourages you from seeking help other than his or hers, you may need to find that help yourself.